Macchiato? Cream, caramel and chocolate, of course! finished with a roasty, dark caramel drizzle on top. 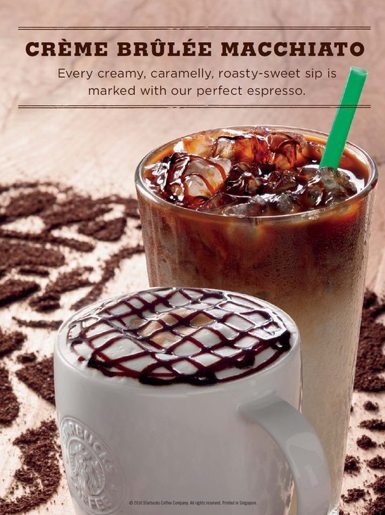 You can enjoy your Starbucks Crème Brûlée Macchiato hot, iced and as a Frappucino. the new additions to the Starbucks Breakfast Menu are definitely worth a try!